(SCL) is a civil and environmental engineering consulting firm, specializing in a range of civil engineering services for both the private and public sector communities. SCL provides professional engineering design services for clients wanting to develop their ideas. We help our clients assess, develop, and implement their ideas in a safe efficient manner. Get in touch with us:6 Fort Lane, P.O. Box 1232 Roseau, Dominica, W.I. 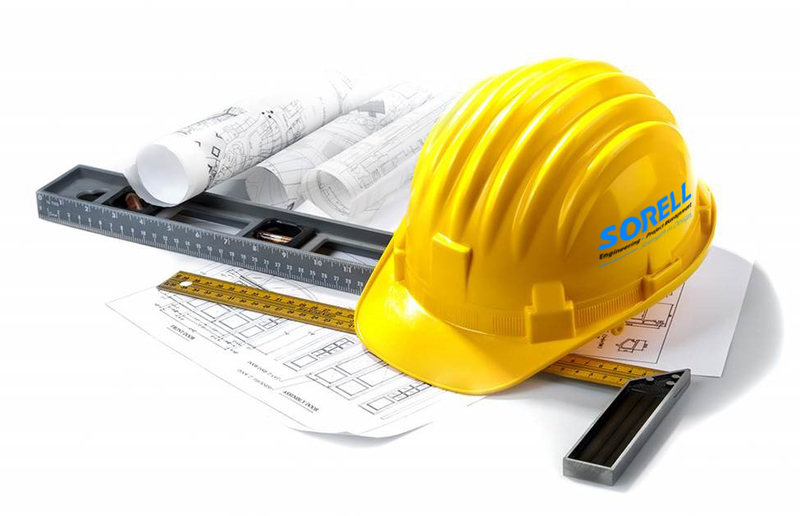 Sorell Consulting Ltd. offers a full array of professional staff in fields of engineering and project management to effect construction management and inspection services. Our capabilities include a wide range of projects from single family home renovations to new commercial and industrial facilities. All of our designs conform to the requirements of international and local building codes. Our structures are designed in timber, steel or concrete. Our Civil Engineering Division can take a project through planning, preliminary design, and ultimately to the final design stage where the project is ready for bid and construction. We perform a wide range of assessments including; Environmental Impact Assessments, Environmental Engineering Assessment, Environmental Risk Assessment, among others. Our expertise brings value to clients faced with complex drainage constraints; clients and projects come from public agencies, private developers, and individual property owners. SCL's Environmental Department provides a variety of services that enhance best management practices, which incorporates environmental solutions to satisfy our clients' needs. Other services provided by Sorell Consulting Ltd. include Concrete Testing, Rebar Testing, Surveying and Drafting. We live by our company slogan "Strength in Design". By continuously improving the quality of our services through qualified staff and commitment to deliverables. Our mission is to provide all our clients with quality service, from concept planning through to completion, with a highly skilled professional team working together, using common sense and practical experience. We have a staff of approximately 12 persons of diverse backgrounds and experience, which includes registered professional engineers (PE), trained technicians, trained cost technicians, other professionals. All of our projects are managed by a trained professionals and the staff used is selected based upon the best qualified for your particular project. Sorell provided a professional and structured approach to its services ensuring successful completion of the project. Sorell was particular responsive to issues as they arose and were flexible and open in finding resolutions. I look forward to continuing to work with Sorell in future projects. The community-driven participatory approach to BNTF intervention calls for active involvement of focus groups and Project Monitoring Committees (PMCs), etc. both in design and supervision. Sorell has understood this approach and has over the years responded favorably in providing good work harmony with BNTF Office and respective beneficiary groups. Also, the quality of sub-projects delivered has been satisfactory. Though challenges have arisen in the past, the consultant has displayed no hostility or indifference, but a willingness to work collaboratively addressing matters of concern. A full service real estate company located in Roseau, Dominica offering countrywide coverage for property buyers, sellers and renters. Millenia Realty assists its clients to sell, purchase, or rent both residential and commercial properties. From concept planning through to completion Millenia Architects combines knowledge, common sense and practical experience to produce structurally sound, functional and aesthetically pleasing projects within time and budget.